Told in alternating "Before" and "After" chapters, Kam's novel focuses on the events leading up to and just after Cass's best friend Devin's body is found at the bottom of a local ravine. Part realism, part ghost story, and part coming-of-age tale, this young adult novel will draw you in and keep you turning pages until the dramatic conclusion. In "Devin Rhodes Is Dead," Devin Rhodes has died and now they are trying to find out what happened to Devin that led to her death. She was found at the bottom of a ravine. Her best friend, Cass, is troubled by their final moments together. Cass feels guilty for betraying Devin on the night she died and now she’s starting to feel haunted by something or… someone. Is it Devin? Fifteen-year-old Devin Rhodes can’t wait to get rid of that baby title freshman. As a svelte sophomore, she thinks she’ll have a boyfriend who’s a man, not a little kid. Her shy best friend, Cass, isn’t so sure. She doesn’t like how Devin winks and shows off her lacy bra, or how she steals shimmering brown lip gloss from the pharmacy just because she can. Devin Rhodes is dead -found at the bottom of Woodacre Ravine, buried in her parent's flower garden, lost to the world she loved so much forever. And it's all Cassandra Kirschner's fault. She can recall that night vividly - the blind date, the tense conversations, the giant blowup, and the back of Devin's too-white shirt as she runs from the mall parking lot, never to be seen again. Her parents are devastated, the town in a near panic, the killer still on the loose. And it's her fault. Tormented by guilt, Cass struggles to function without her best friend. 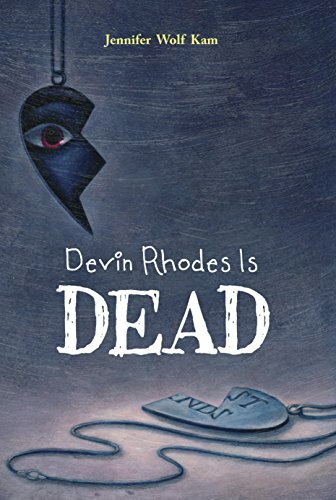 Devin Rhodes is dead…sort of. Ever since the burial of Cass’ best friend, the beautiful and boy-crazy Devin Rhodes, Cass has had the feeling of being haunted. From the slight chill in the air to the touch of hands wrapping around her neck, Cass knows that Devin is back… and she wants something. Devin Rhodes—beautiful, sassy, and precocious. At least, that is what her best friend Cass thinks. Devin and Cass have been through everything, through thick and thin, they were there for each other. They were best friends forever. But when Devin is found dead, Cass feels guilty.